The Treasury Select Committee’s recent inquiry into Women in Finance identified recruitment practices as one of the key areas inhibiting the progression of women in the industry. 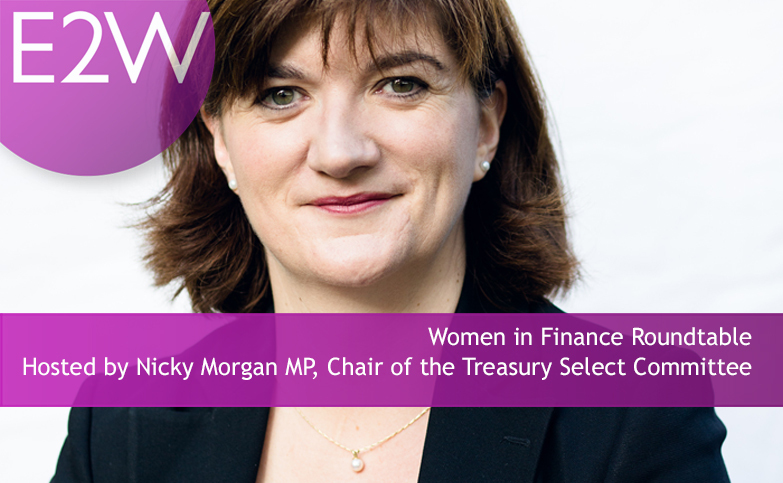 With a keen interest in the topic and to gain further insight Nicky Morgan MP, Chair of the Treasury Select Committee is hosting a roundtable of E2W Members to hear their experiences. If you do things in the same old way using the same old methodologies, you get the same old results. So what needs to change? For most firms ‘reduced cost and shorter time to hire’ are top priorities for their inhouse and external recruiters. How do these priorities conflict with a commitment to recruit more women? What needs to change in recruitment practices to support firms to meet their gender targets? As a hiring manager how are you targeted, incentivised and supported to recruit more women? What more can the Government do to accelerate change in the industry? Are you are an E2W Member? Can you contribute to the debate? If you would like to attend then please apply for one of the tickets by registering using the registration process. Our team will then be in contact to provide details. Due to the size of the ‘table’ we are limited in the number of attendees and therefore selection will be based on experience and knowledge relating to this issue.